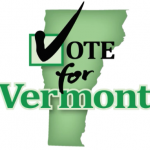 Proposal 5 to amend the Vermont Constitution to promote “reproductive liberty” is now under Senate consideration. I don’t propose to discuss the “right to personal reproductive autonomy” that is the focus of that proposal, but the opening sentence would create a lot of problems. Could a person, under this language, bring a lawsuit against the state for being made to wear an undignified helmet while riding a motorcycle? Could a person sentenced under Chapter II sec. 64 to perform hard labor in full view of the public, object that being seen in an orange jumpsuit cleaning up trash invades his dignity? Could a person bring suit claiming that food stamps and welfare payments are not sufficient to allow him or her to live a life of dignity at taxpayer’s expense? I’m not keen on the rest of Proposal 5, but this first sentence really has to go. 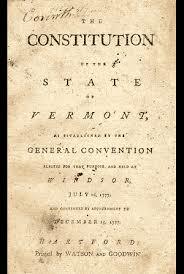 John, et al: Neither the construction of the Vermont Constitution, nor its draft predecessors (The Declaration of Independence, the Virginia Declaration of Rights, or the U.S. Constitution) have ‘passive construction’ in this regard. They are, if anything, divinely ‘active’. The guaranties prescribed to each individual are ‘self-evident’….’endowed by their Creator”. Or, in the parlance of the later iterations, “…by nature”. On the other hand, slaves, indentured servants and women did not qualify at that time. They were considered ‘property’ and, as such, were protected only in so much as their owners provided. As I commented earlier, today’s debates over abortion rights are eerily similar to the extensive debates in 1776 over the “moral depravity” and “hideous plot” of slavery. Slavery, indentured servitude and the characterization of women as unqualified for liberty was, in 1776, ubiquitous throughout the world. There are many instances remaining today. But the American Experiment marked the beginning of the end for these institutions. As early as 1781 (prior to the 1787 constitutional convention), Mum Bett, a slave to one of the Massachusetts founders, upon over-hearing the high-minded rhetoric of her owner, sued in Massachusetts court for her freedom….and she won. On the other hand, woman in general did not receive their full flask of liberty until the ratification of the 19th amendment in 1920. Perhaps this is why they are so concerned today. Today, the definition of what constitutes ‘property’, as controlled by the constitutional tenants of its owner, rages on. When does life, qualifying for constitutional liberty, begin? I’m not prepared to make a case in this regard at this time. But merely take the opportunity to remind everyone that this is anything but a ’passive construction’. We are each charged with consulting with our creator, whoever that may be, and accepting responsibility for our own actions. Yes, but Mr. McClaughry remains exactly correct. The Constitutions guarantee us no rose garden — their purpose is to restrain government, not create a government that “guarantees” anything other than that restraint. I am in no way supporting Proposal 5 or a ‘rose garden’. I’m simply responding to the characterization of Proposal Five as ‘passive construction’. And for good reason. If your constitutional support relies on precisely defining ‘who’ is making the guaranty, or ‘what’ is ‘guaranteed’, you will fall into the liberal left’s trap of centralized governmental regulation so abhorred by the Founders, negating the constitutional principles of individualism and liberty – which does, indeed, ‘guarantee’… “the liberty and dignity to determine their own life’s course”… which is, in fact, the basis of the American Experiment…of life, liberty and the pursuit of happiness. The consensus on Abortion Rights, as with Slavery, Indentured Servitude and Woman’s Suffrage, has been a constitutional process…and, hopefully, will continue to be so. With any luck, we’ll avoid a civil war, so long as everyone understands and accepts their personal responsibility defined under the Constitution in coming to terms with the creator [whoever that may be] who/that endowed them with these ‘inalienable rights’. Thank you for clarifying. I agree. But there is more than one issue tearing us apart, and the Constitution is being shredded in the fray. I fear it will continue to deteriorate — most people indoctrinated into this mad Orwellian America wish to avoid personal responsibility by foisting all problems on government, and then complain at the failed “solutions.” The very fact that our legislature spends so many resources passing precatory laws, and expanding government intrusions (and fees), is a symptom indicating that Rome is in profound decay. I agree. But John needs to be more careful and not conflate our right to be stupid and do stupid things to not having any right at all. “Could a person…bring a lawsuit against the state for being made to wear an undignified helmet while riding a motorcycle?” A person can bring such a suit now. Whether or not its successful depends the details of the grievance and court precedent. The same can be said of all John’s hypothetical questions. But I don’t want to lose my constitutional right to bring a suit because someone else does so unsuccessfully. The problem here is that we aren’t taught constitutional civics in our public education system and now we’re reaping what we have sown. They’re going to guarantee dignity? Good luck with that. To determines life’s course, except the little person, to which they want to abort. They are going to run into serious problems with this even if it doesn’t pass, more so if it does pass. This will be the law to over turn Roe V Wade, as it will go to the Supreme Court and lose. There’s a major problem with the bill in that it clearly defines what is inside the woman as tissue, fetus, product of conception, anything but a baby. In their rush to frame the argument around the rights of women and the patriarchy has no right to even speak about it much less tell the women anything, they forgot one major part, the baby. To make this law even remotely consistent with it’s declaration, they’ll be no reason for child support, state supporting single parents, any consideration for pre mature births, hurting a preborn child……because they have unequivocally stated it’s only a Product of Conception, until the woman decides otherwise when the baby (sorry) Product of Conception has left the womb. The argument is so contrary to nature, common sense, religion, decency that it will never pass the light of day. To which point we are back at the definition. What is inside a woman is a baby from the moment of conception, it has specific, individual dna for a person, not a cat or dog, a person. Now the moment a woman gives birth to something other than a baby we can talk….but until then it’s a baby. 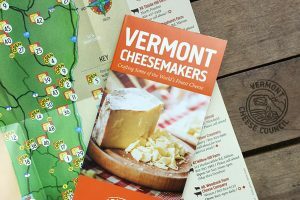 Vermont digger has censored 80% of my comments on this bill, regardless, I suspect it’s the same for many. It’s wonderful that people have a format to which they can discuss things openly. Kudo’s to True North Reports. I look upon the VT Digger situation being characterized as blind mindless without any social consideration or for their own welfare and future ramifications. It’s a rag by idiots for idiots. Noted their motto being “News in Pursuit of the Truth”. Digger is located in Montpelier (on State St, no less), the Liberal fortress called Montpelier. It figures. Consider if they got rid of the media controlling employees,and to be open and fair minded to all inputs covering many truthful scenarios, their audience could easily have multiples of various support and prosper greatly. 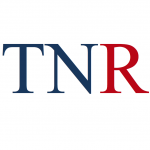 True North Reports has this openness and is a prime example for respect and a following. Can’t loose sleep about them. I can imagine they look at TNR. They are very open about their moderation, so many in Vermont are really big on moderation, it’s how we get a one party rule. Freedom of the Press: A Liberty for All or a Privilege for a Few? On March 8th, a vociferous, former progressive lobbyist in Vermont wrote a VT Digger commentary entitled ‘The silence is deafening’. In it he characterized “Republicans’ silence” as “loyalty… not to the Constitution for which they swore an oath to uphold, but instead to a man”, as “…when people sat in silence as Hitler rose to power”. Now, it’s not my intent to debate the absurdity of the commentary’s point of view here, such as it is, but to address its curious similarity to the fact that I already tried, without success, to debate it. My ‘silence’ in this case, however, was not self-imposed, and I’m doing what I can to not keep silent about it. 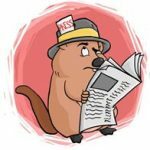 I continue to be concerned with the ongoing distortion of journalistic tenants practiced by the so-called ‘institutional press’ – including VT Digger – and specifically with regard to Diggers’ willingness to publish nonsense that clearly offends its own commentary guidelines at the expense of alternate points of view. The practice also offends our individual first amendment right to free speech. However, in practice, while VT Digger does ‘convey multiple perspectives’ to a point, the extent to which its coverage is partisan cannot be exaggerated. And VT Digger’s acquiescence to the above-mentioned commentary, and its rejection of some of the opposing points of view that commentary engendered, exemplify this concern. What you don’t see is VT Digger’s regular, even systematic, censorship of conforming alternative points of view. Typically its “Comment awaiting moderation”… waiting, waiting, and waiting. Sometimes its Digger’s overt refusal to publish. Of course, we can’t surmise the extent to which VT Digger censors liberal/progressive points of view. After all, we wouldn’t see them either. But one need only consider the vitriolic nature of the referenced commentary to be curious as to why VT Digger consented to the characterization of Republican administration supporters as the repugnant submissiveness prior to WWII to Adolf Hitler …. of all people. Why not, for example, make a relevant comparison to Richard Nixon’s citation of the ‘silent majority’ in the late 60s? Or was Nixon just not evil enough to make the intended point? VT Digger not only published the comparison of Trump supporters to Hitler apologists, it purged alternate opinions from the discussion. The question is, why was the ‘Hitler’ comparison not viewed by VT Digger as hate speech, or a personal attack, or disparaging of a broad ideology, in the first place? Not to mention VT Digger’s incessant and exclusive publication of the equally offensive and misleading Danziger cartoons accentuating the same bias on a daily basis. Our first amendment right to ‘individual’ free speech is being modified by the first amendment right of ‘the press’. Individual free speech is in jeopardy. From Google to Facebook to Twitter to Drudge to CNN to The Washington Post to the National Enquirer to Breitbart – it’s not what these institutions publish, its’ what they choose not to publish that’s most threatening. And just because they all do it doesn’t make the practice ethical, or legal. Most importantly, however, these institutions, Facebook, Breitbart and the others, are for-profit corporations. As individuals, we aren’t forced to buy their papers or visit their web-sites. But VT Digger is a tax-exempt organization. We all subsidize its practices whether we like it or not. [T]he Free Press Clause extends protection to an institution. The publishing business is, in short, the only organized private business that is given explicit constitutional protection. This basic understanding is essential, I think, to avoid an elementary error of constitutional law. It is tempting to suggest that freedom of the press means only that newspaper publishers are guaranteed freedom of expression. They are guaranteed that freedom, to be sure, but so are we all, because of the Free Speech Clause. Those interpreting the Press Clause as extending protection only to, or creating a special role for, the “institutional press” must either (a) assert such an intention on the part of the Framers for which no supporting evidence is available …; (b) argue that events after 1791 somehow operated to “constitutionalize” this interpretation … ; or (c) candidly acknowledging the absence of historical support, suggest[ting] that the intent of the Framers is not important today. As with the most celebrated representative of the ‘Institutional Press’, the New York Times, its slogan exemplifies this danger as it reserves its authority to determine what ‘all the news that’s fit to print’ actually is. Is it hateful? Is it a personal attack? Is it repetitive? Does it disparage ‘a broad ideology’? Is it argumentative? Where is it written that these certain adjectives give the ‘Institutional Press’ the authority to suppress contrarian individual points of view? According to these Supreme Court Justices, it isn’t so written. Today, the ‘Institutional Press’, especially VT Digger as a non-profit organization, is on thinning ice. The current Covington law suits against CNN and the Washington Post should serve as a wake-up call to pseudo journalists everywhere. Despite the outcome of these litigations, we should all serve notice on those who control the air-waves and the internet to serve their partisan points of view at the expense of others, no matter on what side of the aisle they reside. A free press is contingent upon individual free speech and expression ‘in general’ – and accountability matters. VT Digger, and those who revel in its vitriol, have every right to publish whatever they like, to be hypocritical and exclude dissenting opinion. But if they persist, the IRS should withdraw VT Diggers 501 (c) (3) status and declare it a 501 (c) (4), commonly called a “social welfare” organization that may engage in political activities, as long as these activities do not become their primary purpose. Or, even more accurately, organize as a 527 organization that is created primarily to influence the selection, nomination, election, appointment or defeat of candidates to federal, state or local public office. None the less, and no matter what tax-exempt organizational classification VT Digger assumes, its current hypocrisy is unseemly and improper at best. Instead of deceiving Little Red Riding Hood, VT Digger ought to drop its non-profit status. Thanks for the links, they’ve really changed their posting guidelines significantly. As posters we’re not allowed to defend the continual onslaught of a political ideology while they continually post ideology antithetical to our republic. Convenient no? They and others are not press but propagandists, lobbyists for the DNC. I could not post any thing about our political party position, but people could wax poetic about democrats, progressives and republicans. Same for front porch forum, 7 days and VPR. VTdigger has gone over to the far left liberal side. A couple of days ago there was a commentary about the cost of the military. I pointed out that if you don’t want a draft, you have to pay more for a volunteer force. They did not publish it. — It has become a useless liberal rag. Excellent link btw…just finished, we are not sock puppets. It’s interesting, we had a facebook page, and a friend (so I thought) began harassing me, threatening to fight me, stalk me. It got to the point where I was concerned, blocked the person, to which they got around and with the fact that they were involved with Antifa and Anarchist, I let them know I’d report them. Police did nothing, said I needed to go to courts, went to courts, they did nothing. This person was quick to post freedom of speech to be on my facebook page. At which point I decided to drop ALL activities, which didn’t limit that persons free speech, but certainly did limit mine. Yet the moderation runs with abandon in our state, it’s repressive, in one direction apparently. If the guy was in the south, I’m sure he’d be alligator bait. Red necks are quite quiet about their activities. I’ve been around many red necks, nice silent people. After seeing what the leftist fascist do with “the right to bear arms” I see no need to put anything else in they will just change. A big NO from me on that one.